In the tradition and spirit of Aldo Leopold’s A Sand County Almanac, Saving Tarboo Creek describes the long, patient process of restoring a natural landscape to its original healthy state, modeling both ecology restoration and personal relationship with nature. The author and his wife, who is the granddaughter of Aldo Leopold, dedicate their lives to restoring the habitat of a salmon run and the surrounding forest in this enjoyable, personal tale of humans and nature. In between gorgeous descriptions and family stories, the book describes the damage done by habitat erasure, thoughtless exploitation of land, and climate change. This includes devastation wrought by invasive plant species and some of the challenges associated with rebuilding a natural habitat from scratch. Near the end of the book, the narrative also covers the emotional and psychological impact of separating humans from the natural environment. Though the author’s position—that depression, addiction, and cell phone dependency are symptoms of separation from nature—is based largely on apocryphal evidence, it is a valid philosophical consideration and will resonate with audiences familiar with The Last Child In The Woods, by Richard Louv. Saving Tarboo Creek is a beautiful mixture of lush description, ecological activism, and lifestyle advice, decorated throughout with watercolors of life at Tarboo Creek. If any book were to woo humanity back to the forest through sheer, earnest charm, it would be this one. 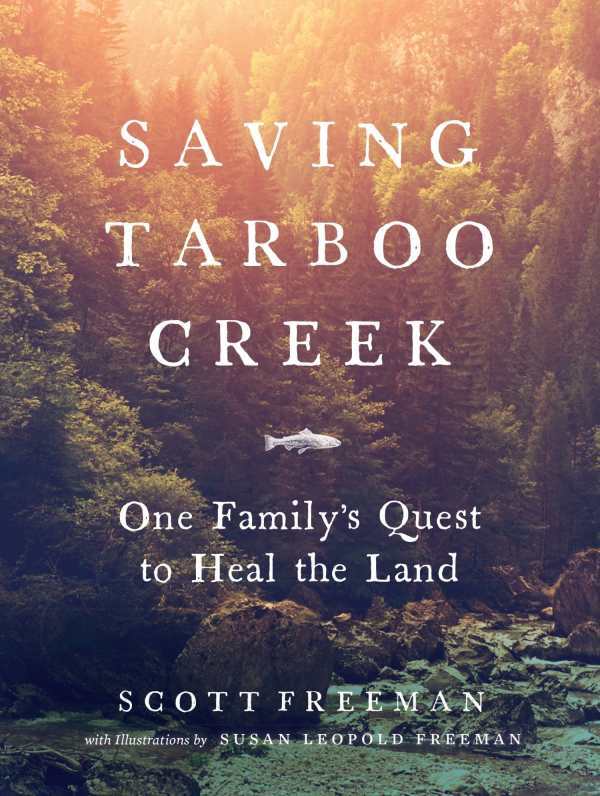 Saving Tarboo Creek is a quick, comparatively light read that will appeal to a broad range of audiences. It may particularly interest younger adults who are looking for a stronger connection to the natural world. However, avowed environmentalists who find themselves frustrated with the available options for saving the earth may also find this tale of small, quiet change to be inspirational.